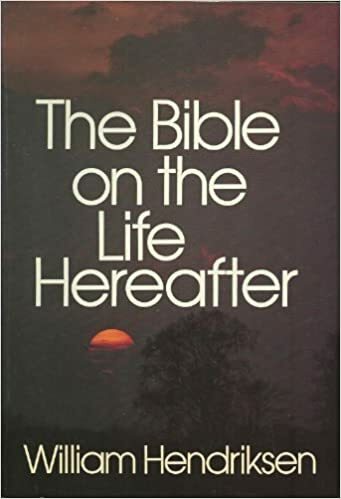 William Hendriksen, The Bible on The Life Hereafter (Grand Rapids: Baker Book House, 1959), 183-184 (emphasis in original). This entry was posted in Uncategorized and tagged Amillenialism, Dispensationalism, eschatology, rapture, William Hendriksen. Well said, Shane. Additionally, it seems odd that in the high priestly prayer of John 17 Jesus would pray that his beloved disciples are not taken out of the world but rather kept from the evil one. If they were not exempt from their inevitable persecution, why should we expect to be raptured away when things get tough? rwgimpel: In Jn 16:1 Jesus indicates that all he said in the upper room was for our perseverance in faith. As John would later write, the church partakes of the tribulation (now) by virtue of being in union with Christ. Rev 1:9 If the master suffered, so will the servant. Good points, Rick and Dante. Your thoughts harmonize pretty well; there are quite a few places in Scripture that speak in such a way that make a rapture very suspect. One I always think about is how the Bible doesn’t talk about three comings of Christ (incarnation, secret rapture, judgment), but two (incarnation and judgment).